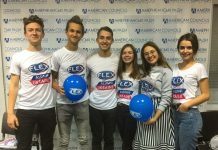 In order to commemorate the International Day for Tolerance on November 16, FLEX Alumni Montenegro shared the most valuable lesson international education has taught them – tolerance. Alumni from seven cities, Podgorica, Niksic, Tuzi, Bar, Herceg Novi, Bijelo Polje, and Rozaje, implemented various projects in their communities. “Montenegro is a diverse country, and though our alumni come from different backgrounds, religions and communities, they all share a love and understanding for one another that is rooted in a shared experience,” FLEX Alumni Coordinator Klaudija Abat (Niksic, Montenegro/Edwardsville, IL). For this reason, alumni wanted to spread a message of tolerance by encouraging members of their respective communities to accept differences and develop an appreciation for the diversity of their communities. The activities that took place in distinct cities aimed to highlight the importance of tolerance in distinct ways. Some of these activities included alumni offering free hugs and sharing positive messages around town. Other alumni recorded their classmates’ reactions to heartwarming remarks. 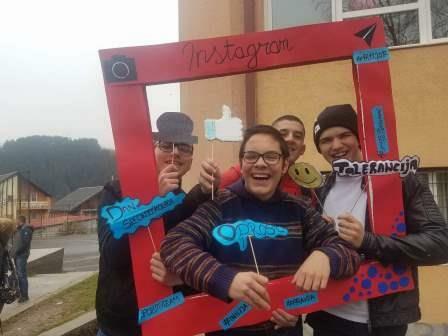 Andrea Saric ’17 (Bijelo Polje, Montenegro/Leo, IN) and Adea Kalac ’17 (Rozaje, Montenegro/Manlius, NY) encouraged students from their respective schools in the north of Montenegro to talk about tolerance and to show understanding and patience. The alumni found through this experience that the feeling of accepting others for who they are and being met with the same understanding was invaluable and unforgettable. Hana Lluka ’17 (Tuzi, Montenegro/Windham, ME) chose to disprove some stereotypes in her school through this campaign. The local high school in Tuzi is known as a school where violent incidents take place. 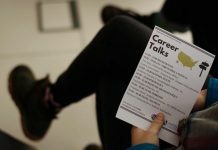 To combat this stereotype, Hana spread positive messages to students and aimed to show that when actors focus on the positive and take a stand, it is possible to solve even the biggest problems. One of the more shocking and heartwarming projects submitted was from Teodora Vucetic ’17 (Herceg Novi, Montenegro/Coaling, AL). Teodora decided to tell people something that she believes everyone needs to hear- that they are beautiful. After engaging with people in this way and creating a video about her experience, Tea found that there is no better feeling than knowing that you’ve made someone’s day better. Click here to see the video that Tea created to present her project! Last but not least, this project inspired other activities, even outside of Montenegro! 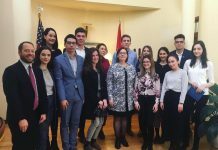 Alumna Bora Bojaj ’16 (Tuzi, Montenegro/Highlands Ranch, CO), who is a student of architecture in Tirana, Albania, shared with her classmates the very personal story of being a “stranger” in her own country and a Montenegrin in Albania. 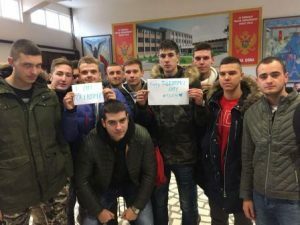 After opening many eyes around Montenegro, the alumni wanted to share their message in the region. Bora shared this with her friends in Albania and together, they left positive notes around the city to encourage tolerance and brighten people’s day!